A hot glue gun is one of the major bits that everyone needs in the toolbox. But, it might be rather easy to limit your perception of what this glue gun has to do for you. Well, it is true that a glue gun is about gluing your items together, but that’s not the end of the story! When you ever think of molten plastic dispenser, you will be guided to see a lot more uses for the same. Right from sealing to molding, casting to clamping, loads of options and applications are available over here. So, it is important that you get along with the unique uses of these glue guns to not just restrict its work to the sole limitation of gluing objects. So, the time has come when you can start using hot glue for other purposes apart from sticking one thing to another. Once you are through with the usability, you will start seeing hot glue gun in a whole new perspective. Whenever you are gluing up some products, you want the long bonding power. Some experts will show you ways to apply wood glue around outside of surface that you plan to glue and leaving a place right in the center, which will be dry. Now, you can apply the hot glue on that dry center and start joining the pieces. The hot glue is designed to bond immediately and will hold the piece in place. The PVA will then cure slowly and leaving you with the piece, which is rather workable. Sometimes, hot glue can be used as a mold medium for the quick casting of some of the objects. 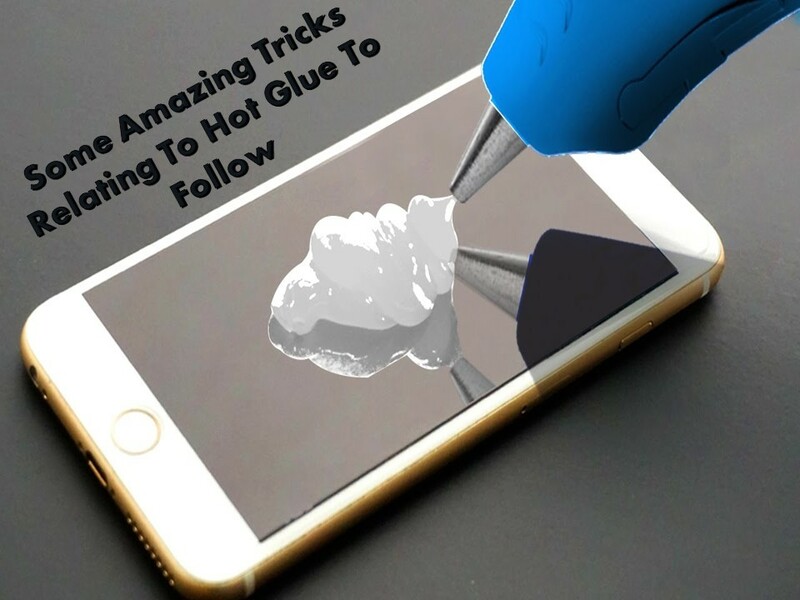 All you have to do is lay down a healthy portion of glue. Before it gets dried up completely, press the object whose cast you are looking for. You can further use molten glue as a casting medium. Let’s take the silicone tray for example. It works great for casting some hot melt adhesive. So, now you know why you need to buy hot glue craft online for the sake of other purposes too. You can think hot glue to be a quick assembly prototyping form of adhesive. You have the right to glue test parts for the build, and have them quite strong to hold together for making sure that everything fits well. It can often be weak enough to take apart easily for making changes before that final assembly. If you are planning to hold down any wooden piece but planning to keep the surface clear for painting, carving or anything similar to that, you can easily hot glue workpiece to the bench and won’t have any clamps in the way. All you have to do is drop some dollops of glue and let them cool down a bit. After that, press work into them. These are some of the amazing tricks with hot glue guns, which you may not be aware of! Try some or all of it now!